Upper Level began in 2013 when three state championship coaches came together. Upper Level provides the most elite and comprehensive development and recruiting program for exceptional New Jersey lacrosse players. Upper Level's coaching staff includes some of the most accomplished players and coaches in the sport of lacrosse who collectively have coached All Americans, All State players, and Varsity College recruits across Divisions I, II and III. 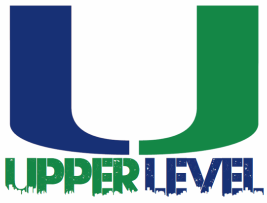 Upper Level is not simply a showcase focused club, we are the first New Jersey club to focus on year round development in addition to recruiting. We believe it is our responsibility to bring out the best in each and every one of our players and we have developed a unique curriculum and coaching staff to that goal. Skill development, life lessons and lifelong friendships for the players and parents from the different schools and communities from which our teams are comprised is the true benefit of the Upper Level experience. We will develop our players through our various year-round training sessions and highly competitive tournaments. This coupled with our high school recruiting element makes Upper Level the best choice for the most elite players focused on a team experience and development. We will field one team per age group and provide an exceptional lacrosse experience for our student athletes. Thanks for choosing Upper Level.